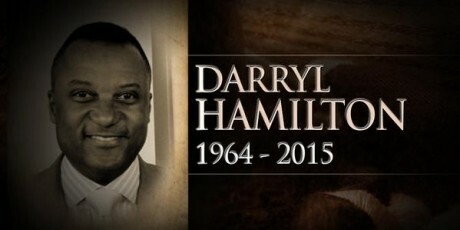 Tuesday morning I found out that Darryl Hamilton died. He was a former Major League Baseball player. I immediately felt this sadness. 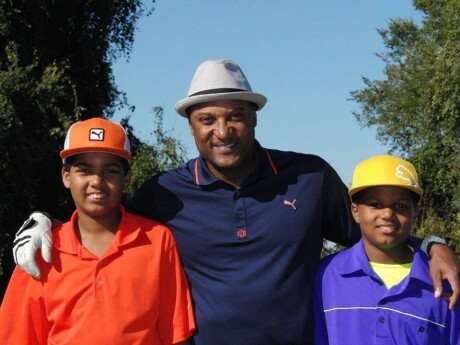 Retired athletes die all the time , what makes Darryl Hamilton special to an adult (presumed) living in the Philippines? Unlike other ex jocks, Darryl was my Facebook friend and we followed each other in Instagram. Back in college, I had a textbook titled No Sense of Place. I was in college so long ago that we did not know what the Internet was. Somehow the author had to make his point without the presence and influence of the Internet which can really create that feeling of no sense of place. One of the main themes of Get Real Philippines is we have a lousy political scene mainly because it is the fruit born of the society it represents. My choice of media that I consume is reflective of my disregard for the media common place in the country that I live in. 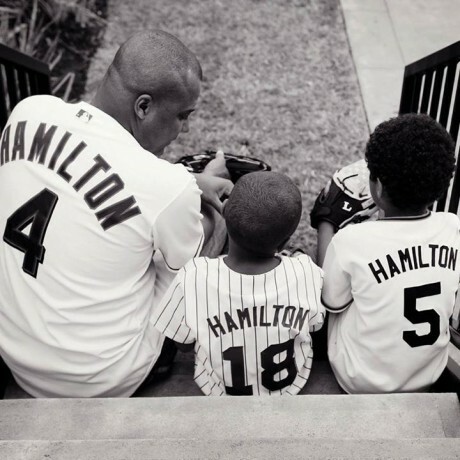 His last post on Father’s Day with two of his sons. There really is no better form of media to give you no sense of place than the podcast. You listen to exactly what you want, where you want and when you want to. Imagine my glee when I found out in 2005 that there were podcasts available for free that featured the NFL and ESPN news in general. A particularly surreal moment for me was driving down Makati Avenue and listening to the contemporary ramblings of a sports anchor who used to be part of my mornings when I was in high school, three decades earlier. A few years before the universal acceptance of Facebook and the introduction of Instagram, I encountered Darryl and his radio partner Seth Everett in a podcast called Stayin Hot produced by Major League Baseball radio. I played an old episode this morning and it hurt to hear Darryl’s jovial voice. A voice that will forever remain in recordings. I am pained to know his sons no longer have their father having seen them quite a bit over the years on social media. Seth Everett is a great radio/ podcast host. I enjoyed his banter with Darryl on two different incarnations of Stayin’ Hot as well as when he was on with Eric Karabell on ESPN’s Baseball Today. I wish I could unearth the clip of Seth and Darryl reading a letter back in July of 2006 from a listener from the Philippines. Even they were amazed anybody cared that far away. I became Facebook friends with all three (Seth, Eric and Darryl) later on and maybe they had the good sense to unfollow me. Darryl got into Instagram after I did and I am sure I popped up as someone he knew when he first signed on. I only stress the fact that he voluntarily followed me on Instagram as well as our mutual FB relationship to differentiate from those one way follows on Twitter and FB pages when you are one of Justin Bieber’s or Beyonce’s 30 million followers. Just maybe I can convince you that because of the new realities of social media and downloads that this is not another celebrity death for me. It is far more interactive thanks to the pervasiveness of the technology. Even if I could not find the aforementioned first email from the Philippines read on Stayin Hot I did find this clip where Darryl refers to something I wrote about their show and their topics as a “phenomenal” email. You are gone too soon Darryl. I really hope your boys are taken care of and I can not imagine the pain they are going through that you are gone. Next Article Pinoy Big Brother – Political Edition! Condolences. I felt the same way when future Hall of Famer Tony Gwynn passed away due to throat cancer. He may not be on my Facebook but I enjoyed watching him play during my stay in San Diego. He bats the ball between 3rd base and shortstop thus calling that spot 5.5. By the day I learned his death, after work I bought flowers, went straight to Petco Park and offered flowers underneath his memorial statue. Baseball is still my favorite sport to watch than basketball and I was glad he kept my love for the game. Because we know he was simply a man, with weakness and frailties. Who yearned for the same things all of us do–to love and be loved.